Belem (Brazil), located at the river's mouth, is Amazonia's oldest city and also one of its most developed. 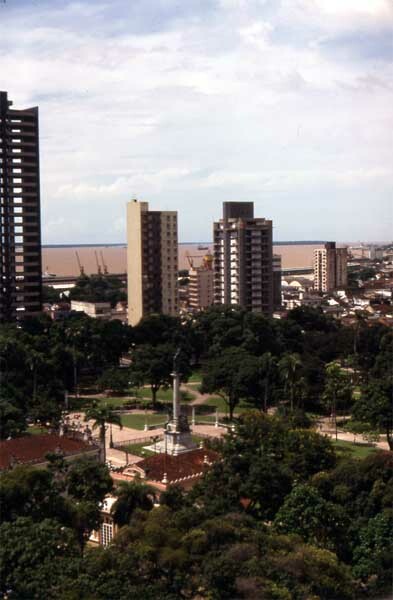 With about a million inhabitants, among Amazon cities it is second in size only to Manaus. It boasts an international airport, world class dock facilities and road connections to coastal cities such as Rio de Janeiro and Sao Paulo. Behind the skyscrapers you can see the muddy brown waters of the Amazon River.